In the following detailed information about ITS Jobs 2019 Invigilator in Islamabad Testing Service is provided and the following vacancies are for the ITS Staff which are going to recruit for KPK and FATA. Jobs in ITS - Islamabad Testing Service to apply are (Admin Officer, Marketing Manager, Project Manager, Office Assistant, Chief Supervisor, Test Centre Supervisor, Invigilator, Office Boy, Security Guard, Receptionist). 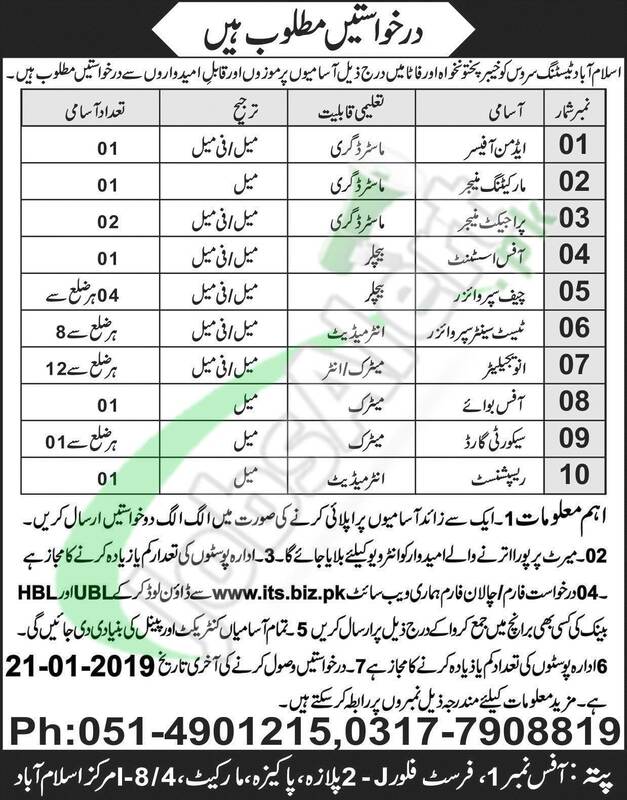 Candidates from all over KPK and FATA having relevant qualification and skills are welcome to apply and the last date to apply is 12th February 2019.